Multi Cut Forage Systems. The Devil Is In The Detail! Many farmers adopting this system encounter rumen health issues, resulting in loose dung, low butter fats and loss of BCS – and lost potential. 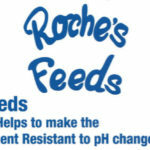 Roche’s Feeds in Ireland are harnessing the benefits of NIS in their ruminant feeds.